Reflections and Ruminations: When love is missing, even prayer will be seen as a chore. When love is missing, even prayer will be seen as a chore. Do you, dear reader, find praying something that is both challenging and tedious? Does the very notion of praying give you a sense of dread, boredom and perhaps fill you with some degree of foreboding? Your Christian upbringing and catechesis may have imparted the great need for prayer as part of our Christian heritage, but this may have only resulted in you knowing that prayer is something good for you without giving much insight as to either why it is good, or how to make this truly good. Right off the bat, we must understand that the heart and the root of prayer is love. It is love at two levels – the love for God (coming from our hearts) and the love that we put into our efforts and endeavours to pray. While they may appear to be similar, these two ‘loves’ are really quite different, and it will help us tremendously if we are cognizant of the differences between them. If our prayer is accompanied with an awareness that what we are doing in prayer is loving God, it transforms and brings it many levels higher qualitatively than if it were just a mouthing of the words and phrases as mere prayers that are “said”. In this way, the difference between “saying prayers” and “praying” is as wide as a chasm. What differentiates the two is the element of love. Why is love important? Because it is God’s very nature. Scripture is so clear that God is love – it is what He is, and anything that includes love and has love as its motive brings it to a level of godliness that it lacks when it is done merely on the level of rote or routine. How do we pray with love? What makes any action a loving action? Is it a feeling? Associating love with feelings is something that so many people have done, and continue to do so. It is erroneous, but I believe that many people have to be taught why this is so. After all, that is the way the world seems to have portrayed love. The sentiments of the heart that emotes the warm and fuzzy feelings that puts the object of one’s desire in soft-focus, usually in the foreground with appropriate lighting made complete with the luscious chords of music in the background make it easy to feel loving and lovely. It sends out the message that this is the feeling that has to be experienced if one is loving. If this is the narrative that ‘works’ in the world through the movies and songs that we are so exposed to in life, we often end up bringing this into our spiritual lives. We associate love with feelings. This is where we begin to get it wrong. As I have said so often in quite a few of my previous reflections, the theological definition of love has nothing (read ZERO) to do with either feelings or sentiments. St Thomas Aquinas defines loves as “willing the good of the other as other”. There is, as you can see, no mention of or reference to either feelings or sentiments. Love, when it is pure and truly godly, is an act of the will. The more it is a conscious act of the will, absent from feelings and an expectation of a return from the one receiving the love, the more it is truly godly. Knowing this and reminding ourselves of this will serve us well when we struggle with prayer. We are in truth really struggling with love and struggling to love. If we only define love when it is easy to love, or when the sentiments are readily reciprocated, it will always be hard to love when the sentiments are missing. But if we now define love in the way that the astute St Thomas Aquinas has defined love, we are really free – we are no longer slaves to loving only under certain conditions. When we love as an act of the will, we are no longer dependent on external influencing factors when we love. We are also no longer loving only when we are loved back in return. This makes it possible for us to love those who hate us (Jesus’ words, not mine), and to love those who do not return the love that we give. In that sense, it makes our love heroic. And if we understand this, we will also extend this to the forgiveness that we extend to those who hurt us. Forgiveness without love is always going to be quid pro quo, where we will forgive only if certain conditions are met, and usually, we will insist that the other party either asks for forgiveness or shows remorse. When our forgiveness, like love, is also a similar act of the will, it is aligned with love and it will be given unconditionally. Composer and song writer Sir Andrew Lloyd Webber wrote a song for his musical “Aspects of Love” called “Love changes everything”. I believe that Climie Fisher also had a hit with a similar title. There is a great truth in this statement. Theologically, it is definitely true. 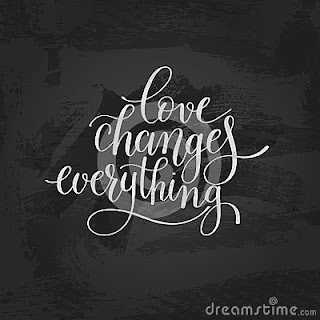 Love does change everything. 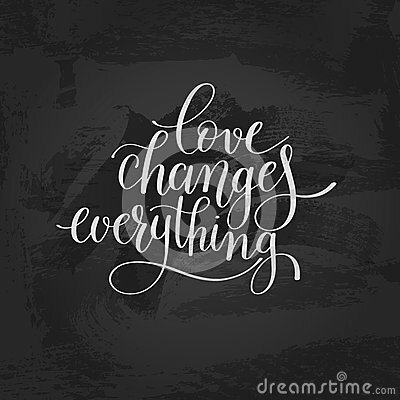 Anything done with love, especially when it is a deliberate act of the will, changes the way these things are done. When love is missing, St John of the Cross teaches that we need to put in love, and there we will find the love that we couldn’t at first. If we struggle with prayer, if we find prayer a chore and something laborious, it could well be indicative of something else that we are struggling with – we are also struggling to love. "willing the good of the other as other". It seems to me, the last two words carries significant meaning, yet, I could not fully comprehend. This is really what makes this definition of love so significant. "As other" means that all the good that one wills for the other is for the complete and unselfish good of the recipient of the love, with no self-interest or intention of getting any return to the giver. It is altruism at its best. You said, when we struggle with prayer, "we are in truth really struggling with love and struggling to love." Personally this is a new and interesting but challenging way of looking at prayer! More so when love is seen in the light of St Thomas Aquinas definition...........and "the other" we are WILL-ing ourselves to love -is God. Of course many would be horrified to admit that loving God is a struggle....( not talking about warm fuzzy feelings here) but it is. For an altruistic love most probably would entail sacrifices of time, energy, even resources on one's part for "Someone" that one cannot see except through the eyes of faith ? Prayer speaks of perseverance, humility, obedience, a deep & abiding faith/trust in the faithfulness of God - (on our part) - that would make us stay engaged in this unequal relationship. It would mean that we subscribe to the belief that God truly loves us first as John would have it. ( 1 Jn 4:19 ...we love because He first loved us....) and we are merely responding to His love through our pitiable attempt at communication i.e. prayer. Thus, I feel that one can only love in return & hence stay faithful in prayer because He grants one this favour or grace to be so pre-disposed. Perhaps, a good start would be to pray for the grace to be able to truly pray!